The wait is over! 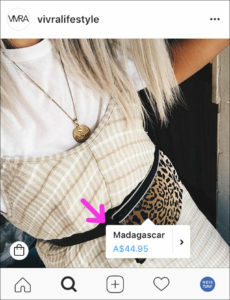 Australian online sellers finally have access to Shoppable Instagram tags. This new functionality is a game changer for product-based businesses. Customers now have the ability to tap on an item in an Instagram image, see the price, and be taken directly to that product on the retailer’s website! Your Instagram feed can become a curated shopping gallery. With shopping tags, customers can now discover, be inspired and buy – seamlessly, in an instant. With over 9 million active Instagram users in Australia (April 2018) local businesses would be crazy not to capitalise on this opportunity, pronto. Pointing your Instagram followers to that one measly clickable Link In Bio, to then be shunted over to a new browser window always made for a jarring, disconnected shopping experience. With the non-chronological Instagram feed, or a situation where a user wanted to know more about an older photo, there was also the real danger that the Link In Bio had been changed ten times already and was now dead. Even if they made it to your website, customers would then have to search for the image they’d just coveted in your Instagram feed. Ugh! With the new tagging function, your lifestyle content and even #UGC (‘user generated content’ from customers) becomes shoppable! HOW DOES SHOPPABLE INSTAGRAM WORK FOR CUSTOMERS? Australian brand and former NEIS client Vivra sell clever and super-stylish magnetic pouches and bum bags. 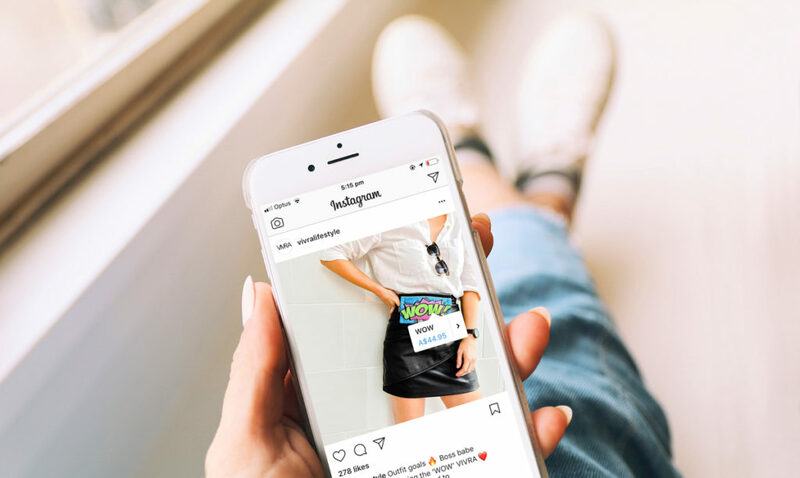 Vivra demonstrate perfect implementation of the new tagging capability, with their curated Instagram feed of customers and staff engaging with their (now shoppable!) products. 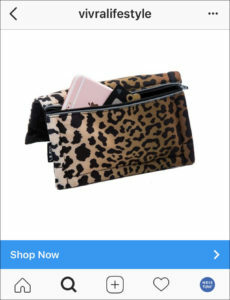 While scrolling through your Instagram feed, look for the little shopping bag icon in the bottom left corner of an image. Tap the shoppable post image, then tap the white dot to select the correct product (one image can contain multiple dots/products). Tap the price tag. Instagram opens a new page within the app with more info and an image of the product. Click ‘shop now’ and be taken directly to the corresponding product on the website. HOW DOES SHOPPABLE INSTAGRAM WORK FOR BUSINESSES? Firstly, update your Instagram app! Make sure your account is a business profile, and if it’s not, convert it to one. You’ll need to have a corresponding Facebook Page that you’d like to associate with your Business Profile on Instagram. Not all Australian businesses are eligible to set up shopping tags on Instagram. You must sell physical goods (not services) that comply with Instagram’s policies. You’ll need to be the admin on your page and your Business Profile must be connected to a Facebook catalogue. This can be created and managed through Business Manager, Shopify, BigCommerce or directly on your Facebook business page. After the reviewing process, approved users will be able to tag products directly within the posts, at the caption stage. Enjoy! Note: All Vivra images used with permission.